The four young people from Canada now at the Vatican synod on youth are all from Salt and Light Media. The Toronto-based media outlet is run by Basilian Fr. Thomas Rosica, who is also on the synod’s Information Commission, and part of the team handling daily press briefings during the three-week event that began Wednesday. Pope Francis named 34 young people to the synod as “collaborators” and “observers.” As such, they take part in discussions, but don’t vote on final documents. Rosica emailed a letter to Vatican media last month announcing the Pope chose only Salt and Light team members to represent Canada’s Catholic youth. “It is a great sign of affirmation from Pope Francis and the Church’s recognition of Salt and Light’s mission of bringing the flavour of the Gospel and the light of Christ to the world,” wrote Rosica. The Canadian youth observers are Salt and Light producer Emilie Callan, and former television intern and current Salt and Light blogger Julian Paparella. Collaborators are Salt and Light operations manager Prevain Devendran, and Salt and Light assistant producer Allyson Kenny. The media network is firmly behind Pope Francis, and will soon be releasing the documentary The Francis Impact, a sequel to The Francis Effect, a paean to the pontiff. “For many people around the world, he is the most authentic and credible moral leader,” notes a blurb for The Francis Impact. 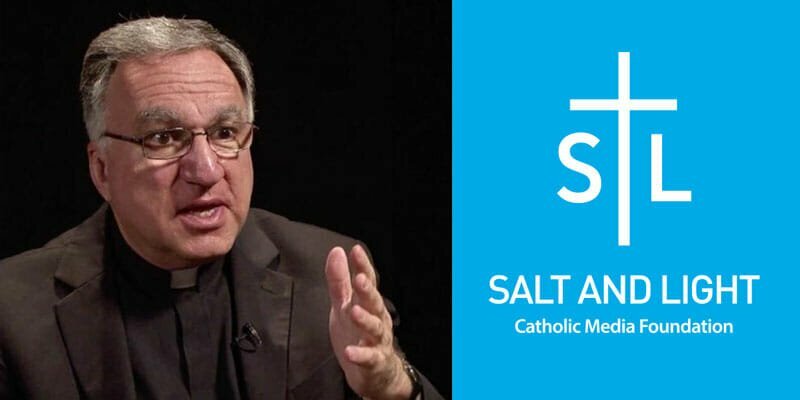 In like vein, Salt and Light CEO Rosica appears to believe the current Holy Father is above tradition and Scripture.